2018 Update! 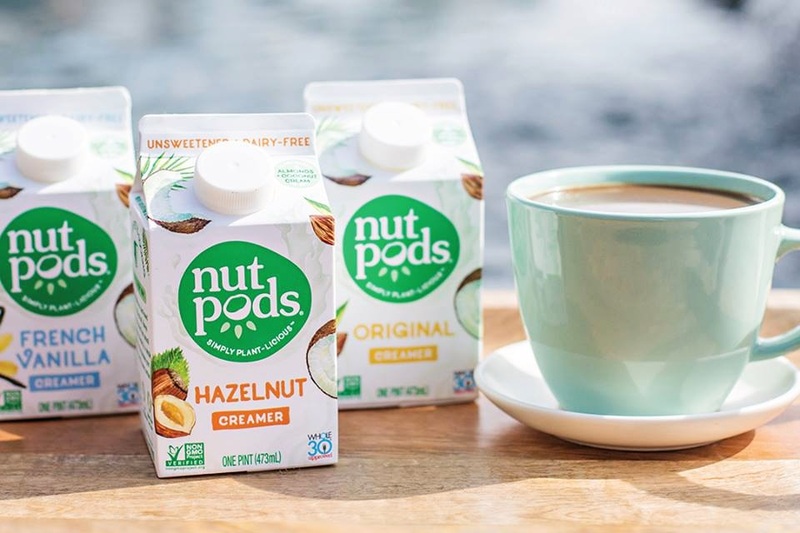 Nutpods Dairy-Free Creamer now comes in more flavors and packaging options. And their newest flavor is my favorite. Also, their seasonal Pumpkin Spice Creamer is available from September on, but only while supplies last. Last year they sold out by October! 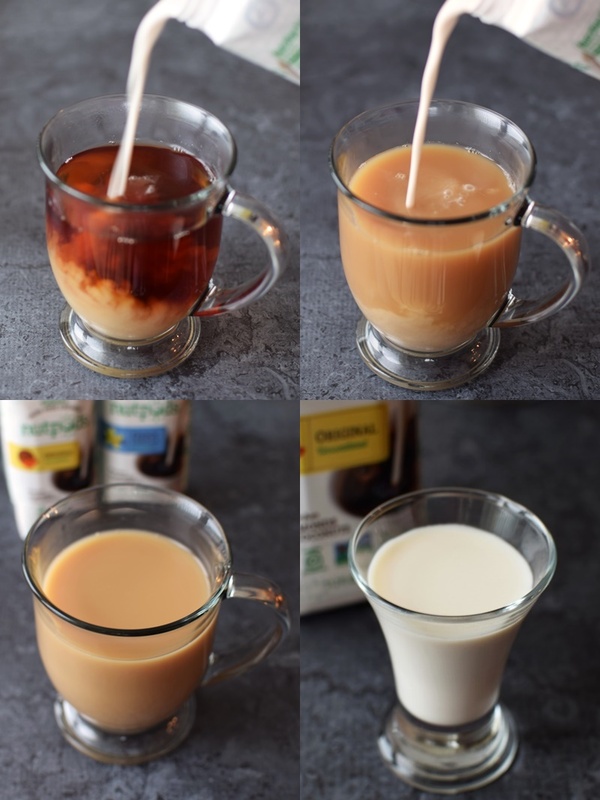 This is the dairy-free creamer that I know many of you have been waiting for. 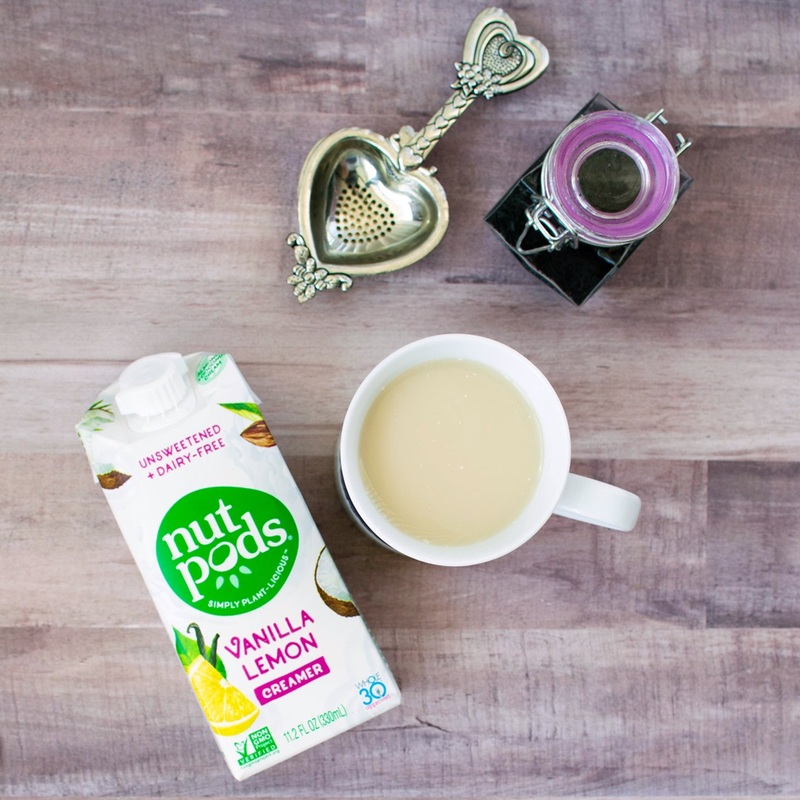 The naturally rich almond and coconut base of nutpods is accompanied by just a couple of thickeners (no carrageenan!) for the most seamless splash I’ve seen in a while. 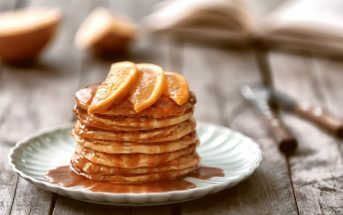 Each variety has absolutely no sweetener added, offering a blank canvas for beverages and even a wide range of recipes. And now they have more than a few flavor options to choose from. I’ve seen many dairy-free coffee creamers “do the job” but this was the first to impress me all around. On its own, nutpods is a smooth, relatively rich (think half and half) sip with a complementary blend of almond and coconut. The two flavors almost cancel one another out for a more neutral taste, but slight undertones of both did emerge. And since each variety is unsweetened (with 0 grams of sugar), they are quite versatile for all types of drinks, recipes, and dietary desires. But what truly dazzled me about nutpods was the consistency and mouth feel. The creators accomplished two things that I had yet to see together in another dairy-free creamer. The first was how this creamer perfectly became one with my acidic hot tea, even without stirring. The second was how it did truly give my tea a full-bodied, gently creamy consistency. It wasn’t watery or just flavoring, nutpods actually behaved like a traditional creamer, but without any hydrogenated oils or carrageenan! And as of this year, it now comes in five flavors. This baseline option is wonderfully neutral and the perfect for both sweet and savory dishes – including cream sauces! I didn’t want any added sugars, so I added a few drops of stevia to the tea pictured below, and the flavors melded quite nicely. Ingredients – purified water, coconut cream, almonds, less than 2% acacia gum, dipotassium phosphate, sunflower lecithin, sea salt, gellan gum. Contains tree nuts (almonds, coconuts). Though it also has no sweeteners of any kind, the French vanilla has a notable scent and lightly sweet flavor. 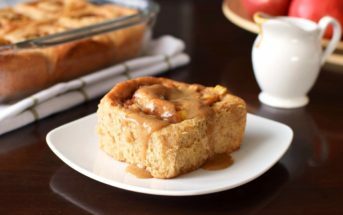 For that reason, it’s perfect with tea or coffee, and likely fantastic in pancakes and baked goods. Ingredients – purified water, coconut cream, almonds, less than 2% natural flavors, acacia gum, dipotassium phosphate, sunflower lecithin, sea salt, gellan gum. Contains tree nuts (almonds, coconuts). I still haven’t tried this flavor! But have heard rave reviews, particularly from coffee lovers. Hazelnut is a natural java match, so I’m not too surprised! This unsuspecting flavor is now my favorite! I honestly thought vanilla and lemon sounded like an odd combination for a creamer, but it far exceeded my expectations. The fresh scent is heavenly and it adds the perfect warm vanilla notes and citrus squeeze to my hot tea. It’s just as rich as the other flavors, but with more depth in flavor. I love that they came out with this variety because the holidays do call for a special flavor. 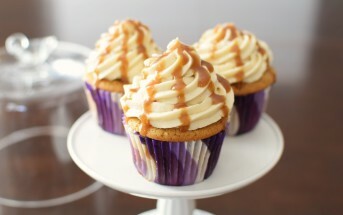 But for me, pumpkin needs to be sweetened. As a base for making a pumpkin spice latte or even a dessert, I really like it. Unlike the other flavors, it just needs some added sweetener to work for my taste. However, I like the little boost of spice. I would love to see them come out with a Chai flavor as a spin-off from this one. Ingredients – purified water, coconut cream, almonds, natural flavors, less than 2% acacia gum, dipotassium phosphate, sunflower lecithin, gellan gum, sea salt. Contains tree nuts (almonds, coconuts). The flagship flavors of nutpods, Original, French Vanilla, and Hazelnut, are now available in the refrigerated section too. We’ve been told that the formula is the same, but the packaging is a little different. The refrigerated versions come in little classic “milk carton” containers, and they must remain refrigerated at all times. Availability: The shelf-stable nutpods can be found on the center aisles of grocers, usually near the coffee. The refrigerated versions are sold in the refrigerated section with the other chilled creamers. Both product lines are sold at grocers throughout the U.S. The shelf-stable creamers can be found on Amazon. Certifications: Nutpods Dairy-free Creamer is Certified Gluten-Free, Certified Vegan, Certified Kosher Pareve, and Non-GMO Verified. Dietary Notes: By ingredients, nutpods Dairy-free Creamer is dairy-free / non-dairy, gluten-free, grain-free, peanut-free, soy-free, vegan / plant-based, and vegetarian. Nonetheless, verify on the label and check with the company on their manufacturing processes for all varieties if potential allergen cross-contamination is an issue for you. Processes, ingredients, and labeling are subject to change at any time for any company / product. For More Product Information: Visit the nutpods website at www.nutpods.com. I’ve tried so many non-dairy creamers and this brand is my absolute favorite! And by a lot. As someone who used to do a lot of milk and no sugar in her coffee, I grudgingly used other creamers that forced me to sweeten my coffee by using them. Now I only buy this brand. I can’t wait to run out to buy the pumpkin spice flavor and try it. And, having recently switched more to tea than coffee, I’m excited to try this new vanilla lemon flavor as well. I think you will love it Kristin! Thanks for your feedback. I am not allergic to dairy and enjoy dairy products. I buy organic, non-GMO, pasture-raised and grass fed cattle products. But I have to watch my LDL cholesterol level now, so I am testing non-dairy creamers for coffee. I just found out that my diet and exercise alone weren’t getting the job done and I’m taking Lipitor. Nutpods are much better tasting than the soy and totally almond creams, but unfortunately, they do have coconut cream, which raises LDL. Poo. I may have to give up coffee altogether. All the ingredients are good UNTIL it lists Dipotassium Phosphate. This is really unfortunate. This is a chemical. This inorganic salt is used as a stabilizer and anti-coagulant in non-dairy creamer. It’s also used in fertilizers and cosmetics, and is said to cause vomiting and diarrhea if consumed “in quantities.” (see InRFood.com). It is difficult for products to try to remain organic and natural and still have some shelf life, just be aware of this fact. Still MUCH better than dairy – which in the end is full of chemicals, and very cruel to cows and bobby calves. Also a fact to be aware of. Where can I buy these creamers? Hi Lynne, links are always included in my posts! You can go direct to the manufacturer or purchase online via shops like Amazon here: http://amzn.to/1VM3KnK – this brand is gaining distribution, but easiest to buy online right now. Love learning about new products. This looks like a great option for people keeping Kosher as well! Yes, nutpods is kosher by ingredients, hopefully they get certified, too! Good news! It is certified OU Kosher, and it is marked on the package. It is the small U with a circle around it to the right of the Vegan Certification logo. Great, thank you Suzie! When I reviewed it, there was no OU – good to know it’s certified now! It’s really amazing how many more alternatives are available these days. Love that there’s no hydrogenated oils or carrageenan in this. I’d never heard of these! Being Paleo they look right up my alley. Must. Find. The web site “enter zip code for retailers” does not work and I grew weary of trying to locate this product in CO. It doesn’t look like it’s available in CO as of yet Yvonne. But it can be purchased online with ease. Wow, Nutpods looks so creamy and delicious! Ok I’m loving that there is NO sugar in these creamers!!! YAY!!! I have never heard of this brand but now I’m going to keep my eyes peeled. Thanks! You’re welcome 🙂 And just a heads up Chrissa – tried a touch of the Hazelnut in a chocolate smoothie, too – so good! So I’m not a coffee drinker, which has always left me wondering what these taste like and if they might be good for other things like cooking?? Yes! I actually just tried the Nutpods Original in a sauce last night and it worked quite well – good rich, but light, savory flavor. What a cool product! I’m not a coffee drinker any more but if I was, I’d totally be wanting this. 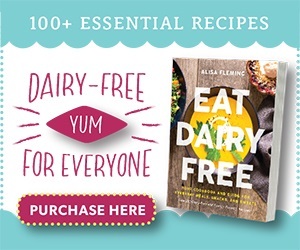 Love that there’s no carrageenan, especially since it’s so hard to find dairy free, “dairy-like” substitutes that don’t contain it (unless of course you make your own from scratch). The vanilla flavour sounds divine! I’m not either Angela, but it worked great for making homemade herbal chai tea! 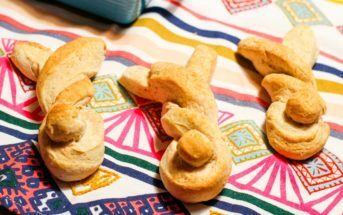 These sound terrific, Alisa! Thanks so much for the your thorough review. 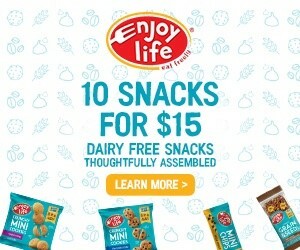 I agree that it will be wonderful when they have single packages for all who are dairy free. Thanks Shirley! I’ll definitely update when those are out.